The Utah Safe Drinking Water Act (Title 19, Chapter 4 of the Utah Code) empowers the Utah Drinking Water Board to enact rules pertaining to public water systems. Those rules are listed below. Congress has passed a Federal Safe Drinking Water Act (US EPA) which empowers the EPA to adopt and enforce rules which must be met by each public water system in the nation. By agreement with the EPA, Utah administers the federal act within the state. Thus, Utah’s laws and rules regarding public drinking systems are in conformity with federal rules. Public water suppliers in Utah should refer to the Utah laws and rules. 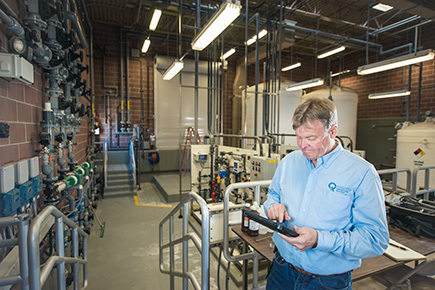 The Utah Division of Drinking Water (DDW) maintains its own version of the rules, tagged as “DDW Version.” The DDW version contains user-friendly formatting and, in some cases, guidance language not available in the DAR version. Furthermore, DDW versions are kept up to date. This is the recommended version. The Utah Division of Administrative Rules (DAR) compiles and publishes all State rules. Provided is a link to rules.utah.gov for each rule. For an index of all DAR-published drinking water rules see Title R309. Environmental Quality, Drinking Water. The rules provided on this and DAR’s Website are not the official, legal versions of the rules, which are kept in an internal DAR administered database. To obtain the legal version, contact DAR. Alternatively, the legal version of the rules may be obtained in hard (paper) copy. On this website, an attempt is made to post rules in an accurate and timely manner, but this cannot be guaranteed. For guidance see Construction Approval Process. For guidance, see Source Protection Program.